• 1,213 sq. ft., 2 bath, 3 bdrm single story "Ranch Style" - MLS® $179,900 - Great Value! Fellows Creek Subdivision, Canton - What an opportunity! 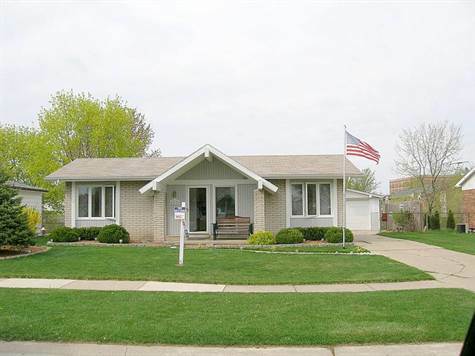 This home has been very well maintained and is nicely updated. Featuring vinyl windows, a remodeled kitchen, updated bathrooms, a very nicely finished basement with a large rec room with a bar and a bonus room that could be used as an office or bonus room, good sized rooms and much more. Offer is subject to 3rd Party Approval.